Set on a mission to outperform the market, Alex Bobrov, a web developer at HedgeFund.design, was able to achieve 199.93 percent gain in 2017. I want to say that earning money by trading stocks is easy. Except it's not. But with the proven and tested strategy, it becomes a straightforward and uncomplicated experience with evident rewards. Alex Bobrov has been a senior web developer at Hedge Fund Design for over three years. Having access to performance data of the firm's clients, he challenged himself to beat their results, thus developing the DII (Dividend Income Investing) and OS (Options Spread) strategies. To test these strategies, Alex was trading stocks and options in his own brokerage account at Etrade. 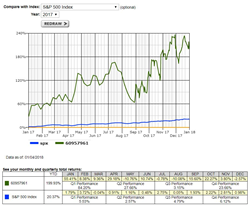 Set on a mission to outperform the market and the firm's clients, Alex was able to achieve 199.93 percent gain in 2017 (the performance peak was on November 28 - 236.06 percent), beating the S&P 500 Index by 1,000 percent and the NASDAQ Composite Index by 708 percent. 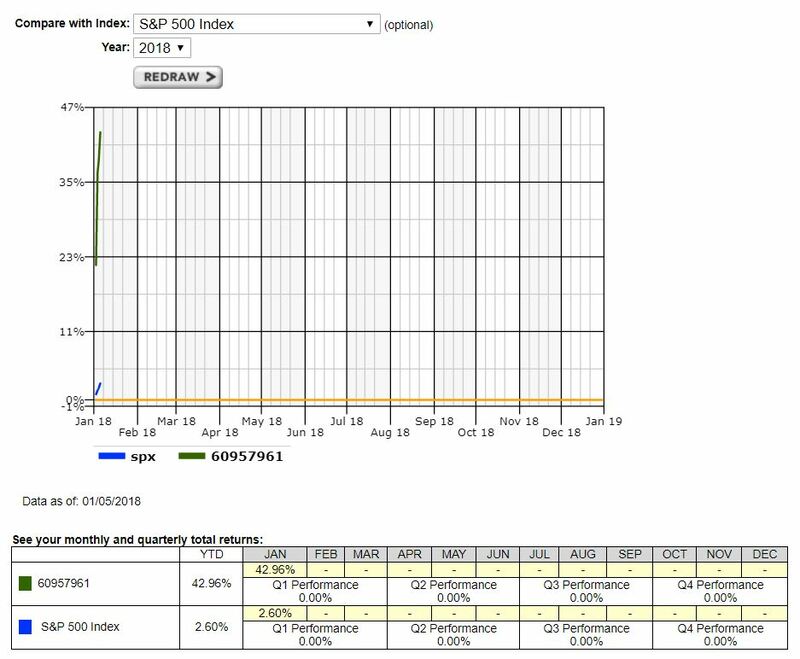 In the first week of 2018, Alex was able to demonstrate additional 42.96 percent gain in his personal portfolio while S&P 500 Index demonstrated a gain by 2.6 percent. "I want to say that earning money by trading stocks is easy. Except it's not," said Alex. "But with the proven and tested strategy, it becomes a straightforward and uncomplicated experience with evident rewards." Starting in 2014 as an agency that caters to financial clients, Hedge Fund Design quickly adapted to the current market and provided crucial and practical software that helped its clients to succeed. Hedge Fund Design became a key player in the web development space, with the ability to enhance a client's competitive presence via customizable web portals and high-impact branding.